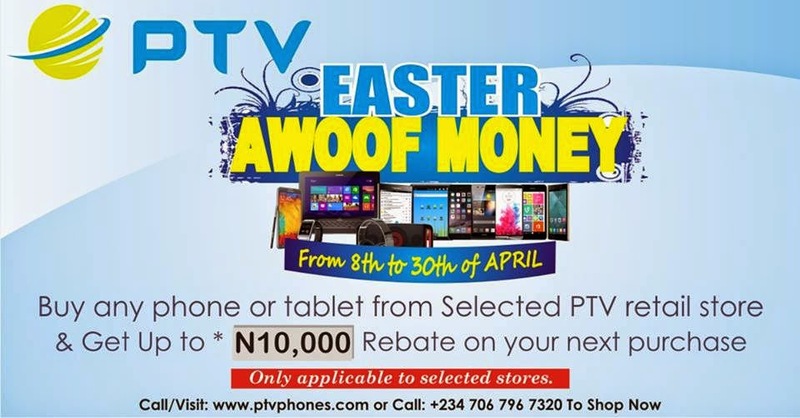 PTV PHONES EASTER AWOOF MONEY. You can get up to ₦10,000 rebate on items bought (phones or tablets) from any of our retail shops. For more on price and product updates. Offers lasts between 8th of April and 30th of April.